Joe Csibi is a Producer, Orchestrator, Composer and Musician. A former member of The National Symphony Orchestra of Ireland, Joe spent 7 years with Riverdance the Show as a Musician & Musical Director. Joe is currently The Orchestra Contractor, Manager and Education Supervisor for Wexford Festival Opera. Joe has arranged, produced and orchestrated for the following artists and orchestras: Kodaline, Damian Dempsey, Eurovision winner Eimear Quinn, International Soprano Celine Byrne, O Emporer, Jack L, Sharon Shannon & Ulster Orchestra, Luka Bloom, Eddi Reader, Cara Dillon, Tommy Fleming, Paul Byrom and the late Joe Dolan. Over 2013 & 2014, Joe has conducted the Ulster Orchestra, The BBC Scottish Symphony Orchestra and The RTE Concert Orchestra, The RTE National Symphony Orchestra (NO.1 Billboard album “This Is The Moment”, NO.1 Billboard album “Coming Home”), Paul Byrom’s PBS film project, “Live from The Penn State Theatre” (Arranger, Music Supervisor, Orchestrator), Orchestrator and recording producer of RTE’s “Big Music Week” 2013. Joe has been most noticably associated as Musical Director, Composer, Conductor, & Orchestrator for RTE’s IFTA winning television production “Centenary Concert” and Producer/Arranger for Joe Dolan’s 10 year anniversary CD with the RTE Concert Orchestra. In 2010 Joe became the Musical Director of Ireland’s National Saturday Night Show “Tonight with Craig Doyle” and bassist with the Sunday night reality T.V. show “Fame”. He continues his T.V. work as the featured bassist in “The Voice Of Ireland” (2012-2016). Joe has performed on such film soundtracks as The Mask, The Tailor Of Panama (solo bass), The Age of Innocents, Remains of The Day, Twelfth Knight, Toy Soldiers, Thumelina, In My Country & Ella Enchanted to name but a few. Further composition includes 2 time Drama Desk Award nominated Show “Noctu” & Craig Doyle’s children’s stage show “The Christmas Gathering”. In April 2012 Joe composed music for choir and orchestra in commeration of The Titanic. 5 outdoor concerts took place in Cobh, County Cork. The concerts were a huge success. He has also written music for documentaries and short films for RTE and TG4. 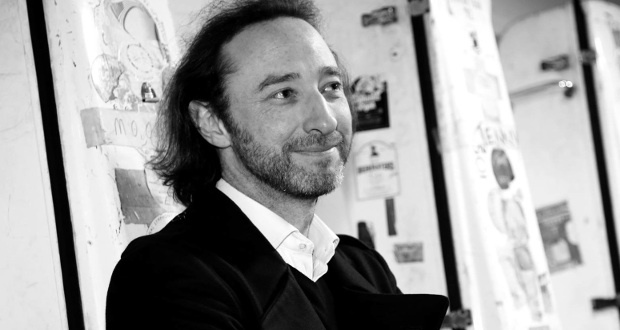 His interest as a multi genre musician has allowed him to perform with the following organisations & artists as solo or principal bassist: The Wexford Festival Opera Orchestra, The Orchestra of Ireland , Opera Theatre Company, Camerata Ireland, The National Symphony Orchestra of Ireland, The Lyric Opera Orchestra, The Irish Film Orchestra, Glasthule Opera Orchestra, The Ulster Orchestra, The RTE Concert Orchestra The Sugar Babes, Stephen Gately, Westlife, Haley Westrena, Elmer Bernstien, Luka Bloom, Sharon Corr, Sinead O Connor, Pavorotti, Domingo, Carreras, Eddi Reader, Moya Brennan, Shaun Davy, David Essex, The Priests, Tommy Fleming, Paul Byrom, Katie Melua, Celtic Thunder, Riverdance, The Cheiftains & Sting. On education fronts Joe has been involved with many wonderful outreach, education and community projects and has been a leader and facilitator for the National Concert Halls Education Community & Outreach Programmes since 2005 in all sorts of wonderful projects. Over the past 7 years he has developed one of their greatest, “The Blow The Dust Orchestra”. This project was created to entice older aged people to play their instruments once again in later life and enjoy making music in a stressless enviorenment. The project has now grown and has been set up in Cork also. RTE, featured the orchestra in their documentary “Coming Of Age”. Joe is currently involved heavily in building an Outreach Programme for Wexford Festival Opera. He is also the Principal of The National Concert Hall’s ECO Ensemble. Composer for American Tap Dance Show “Tap Nation” (2017). Producing a gradute orchestra for the National Concert Hall of Ireland. “SinfoNua” is a pre-professional ensemble allowing students to experience the conditions similar to a professional orchestra. Composer for Monica Loughman’s current Ballet project (2018). Musical Director, Producer for Tommy Fleming’s Spring Tour 2017. Producer/Arranger for Universal Records on “Joe Dolan Orchestrated Volumes 2”.